The world's largest plane "Antonov An-225 Mriya" landed in Australia for the first time. 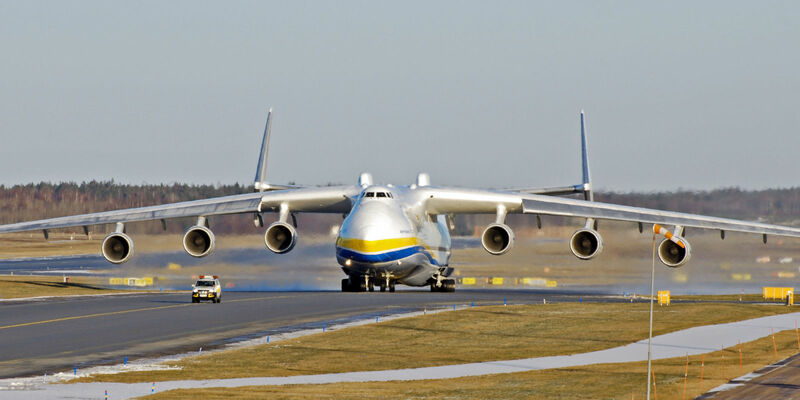 The 84m-long plane, which weighs 175 tonnes without cargo or fuel, was transporting a 117-tonne generator. The aircraft is over seven metres longer than a Boeing 747-8 Intercontinental and 11 metres longer than the Airbus A380-800.